Jean Paul fears he will go to his grave without knowing the full story behind the August 1997 crash that killed his son, Diana and her lover Dodi Fayed. He remains convinced the royal and Dodi were killed to stop the mum of the future King William marrying a Muslim – and the couple’s chauffeur was “collateral damage”. Despite official inquiries ruling Diana and Dodi died in an accident when French driver Henri crashed their car in a Paris tunnel, Jean insisted they were targeted in an ­Establishment plot. Speaking at his home in Lorient, ­Brittany, Jean said: “Diana was killed and my son was killed. I believe they were both murdered. “My son was simply ­collateral damage of a plot to kill Diana and they killed him as well. “I am 100 per cent sure he was not involved in this plot. He was too honourable and too honest. “The English police came here to visit me and sat exactly where you are sitting now. “Even today there are too many ­classified secrets with this incident. I have no real hope to know what really happened. Perhaps it will be known in 30 or 50 years. The jury at Diana’s inquest, which heard from 250 witnesses and lasted three months, found the 36-year-old and Dodi, 42, had been unlawfully killed and the deaths were the result of “gross ­negligence” on the part of Henri and paparazzi following their Mercedes on motorbikes. In 2013, police ­insisting there was “no credible evidence” behind reports that SAS troops were behind the deaths. But Jean said: “It took them over an hour to get Diana to hospital and that is when they made arrangements to make up the story about the Fiat Uno. It was a diversion and a decoy. Dodi’s father Mohamed Al-Fayed also believes his son and Diana were murdered by an Establishment appalled at the idea of having a Muslim wed a royal. But he denied reports he had been warned by MI5 that if he did not stop seeing her, he would die in a car crash. 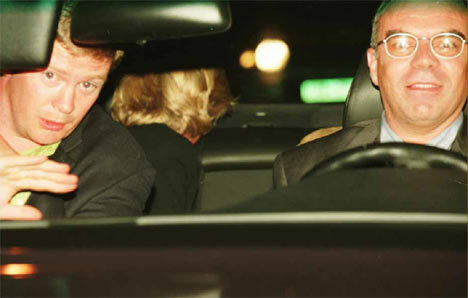 Diana’s first lover after her marriage to Prince Charles , bodyguard Barry Mannakee, was killed in a 1987 road smash. Some of his family believe the secret services were behind the death, but that has never been proven. On Saturday, chauffeur Karim Kazi claimed the Mercedes was a “death-trap” and should never have been on the road after it was written off and parts stolen. “The brakes were dangerous. They discovered six per cent water in the brake fluid. How did that happen? Jean told of the moment he and wife Giselle were told their son had died. Henri was buried but was later exhumed and cremated. His ashes were placed with those of his brothers.